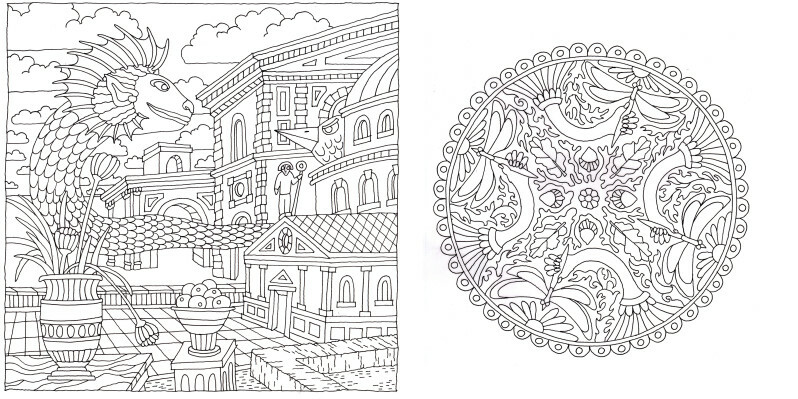 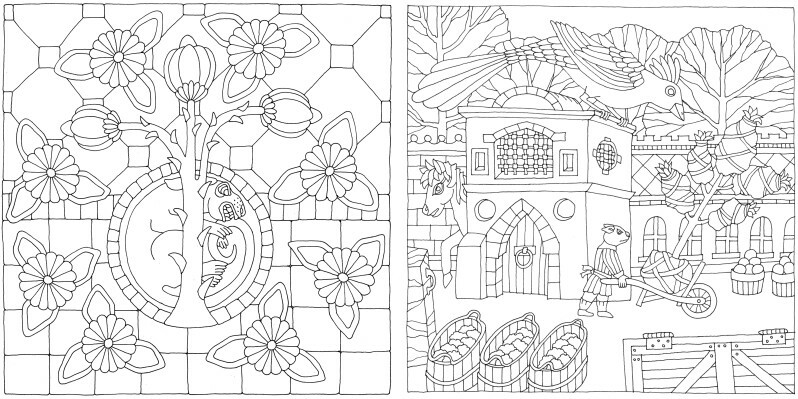 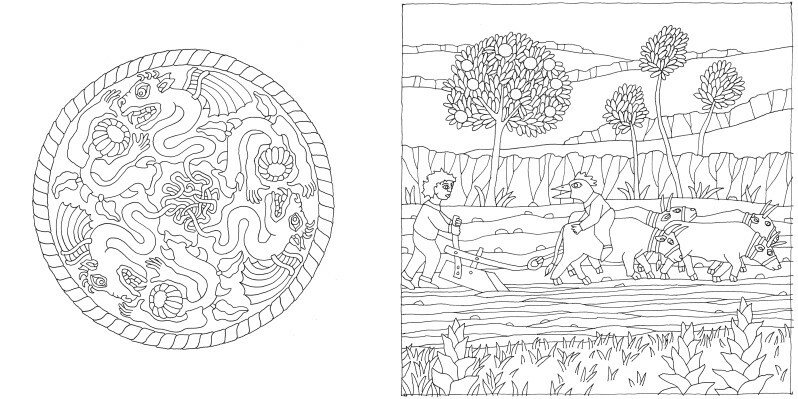 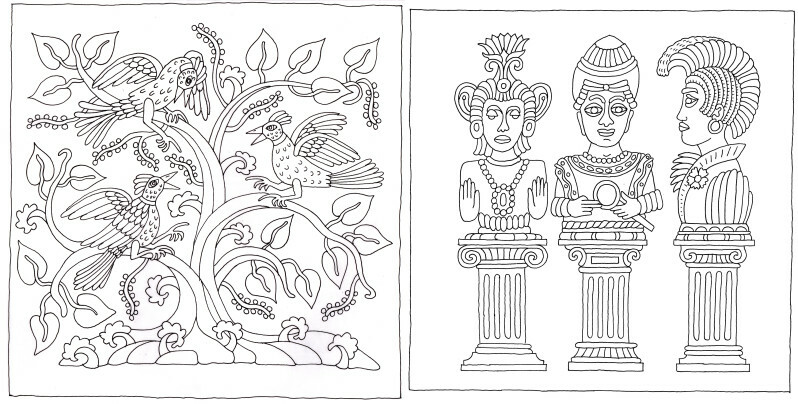 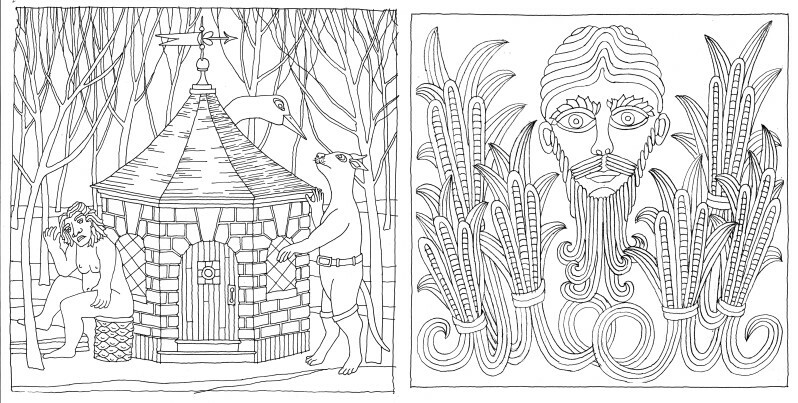 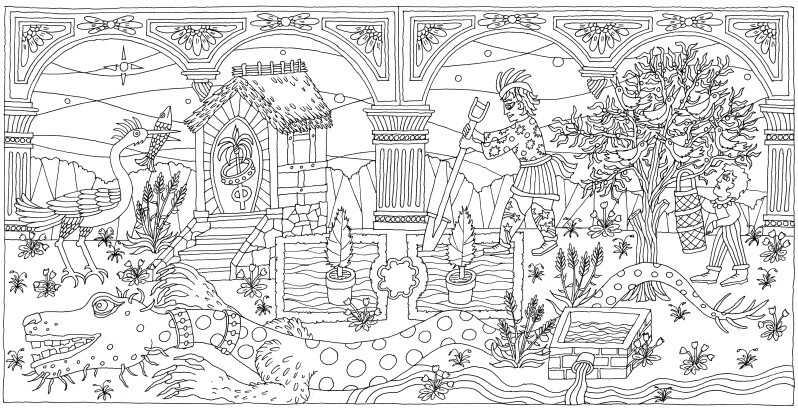 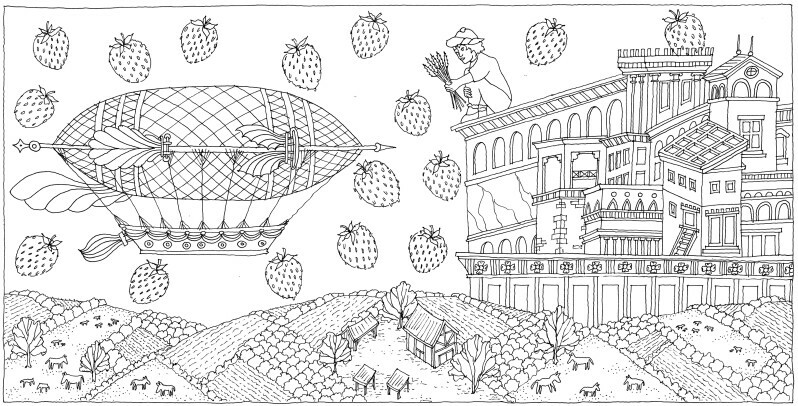 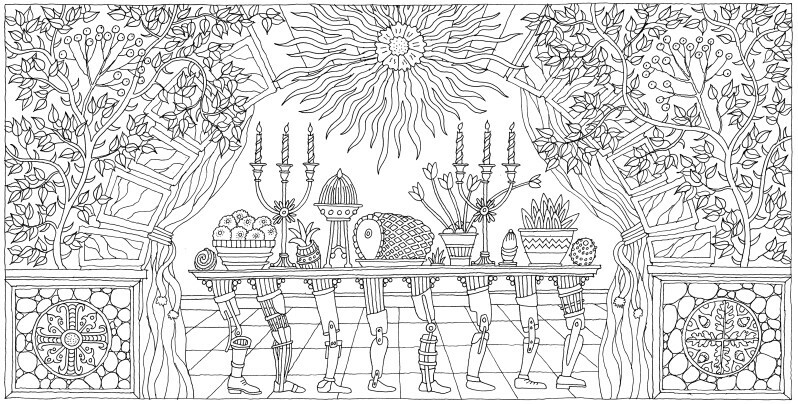 Many clients have urged me to create a coloring book. 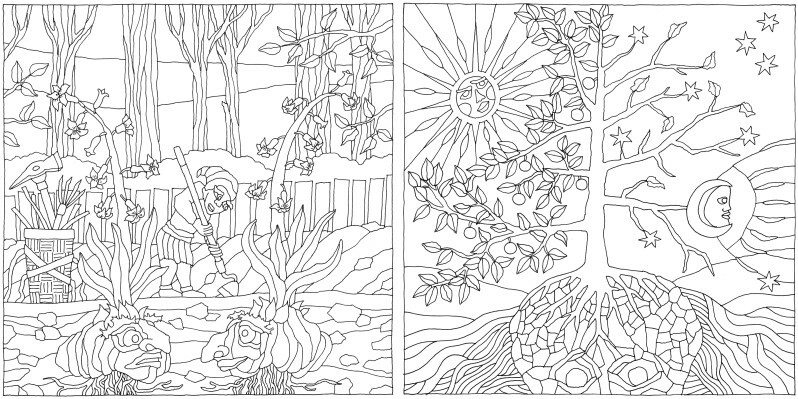 So, I've taken hundreds of images from fifteen years of fantasy sketching, and prepared this suite of drawings, entitled Forest Moon. 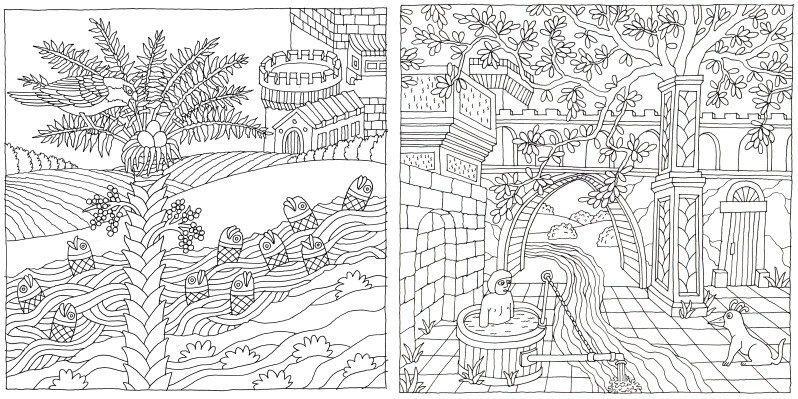 The original sizes of these drawings are 10"x10" and 10"x20". 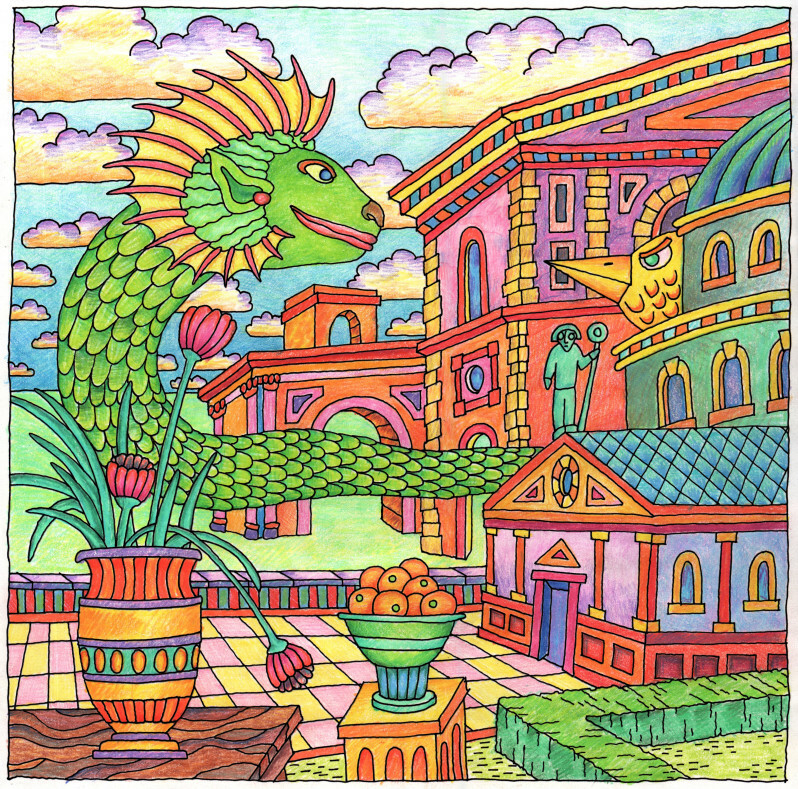 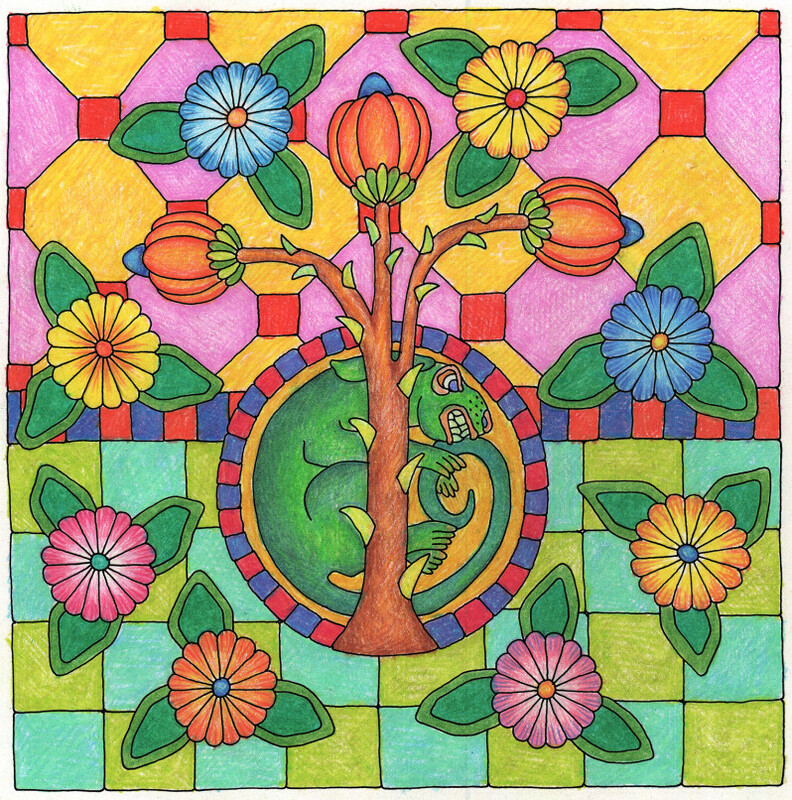 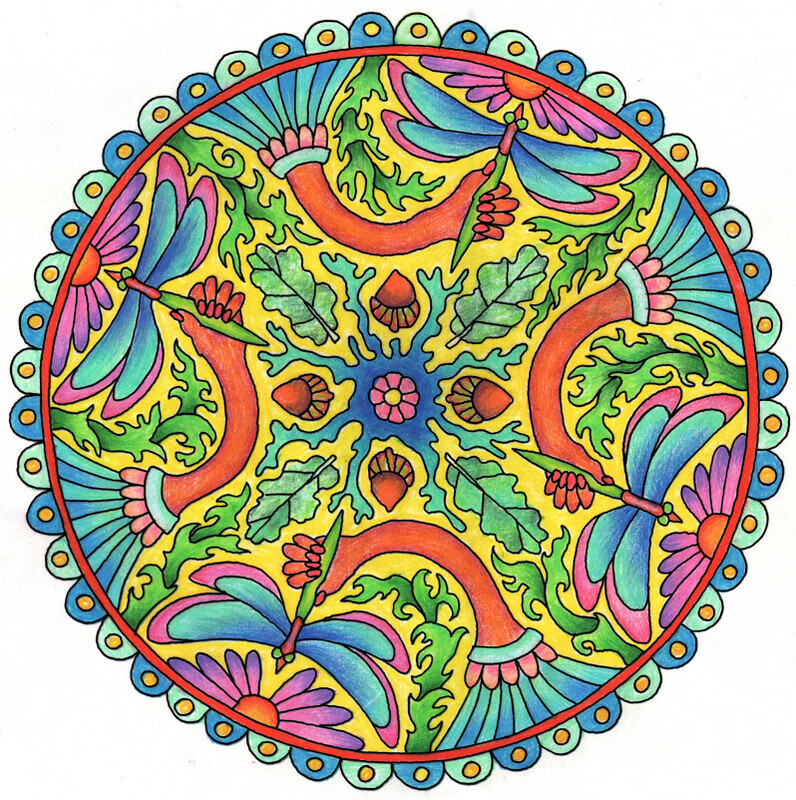 Here's an example of one fully colored, with Prismacolor colored pencils.